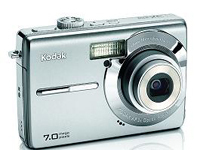 Kodak EasyShare M753 Zoom Digital Camera Software Driver, Share Button and Firmware for Operating Systems. This firmware version provides improvements in: picture quality and flash performance; performance when connected to TVs in PAL-standard locations; performance of the 2-shot Self-timer when using Auto Red-eye removal. , and filed under Digital Camera and tagged kodak easyshare m753 driver, kodak m753 camera, kodak m753 download, kodak m753 driver, kodak m753 firmware, kodak m753 software, m753, m753 share button.